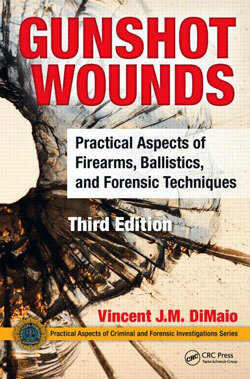 South African Police Forensic Science Laboratory. 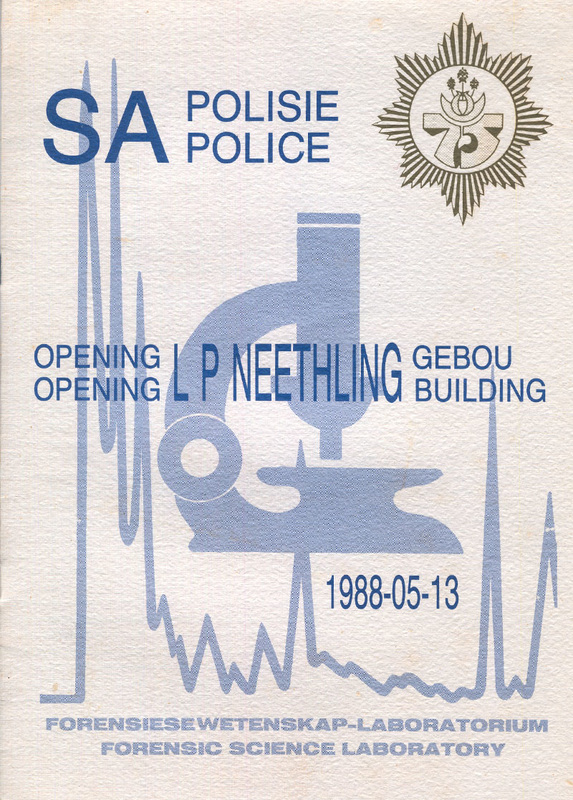 Delivered during the Official Opening of the LP Neethling Building – Forensic Science Laboratory. ​​The tried and trusted methods of combating crime, by which criminals are brought to book, are patrols, road blocks, observation and ordinary detective work. 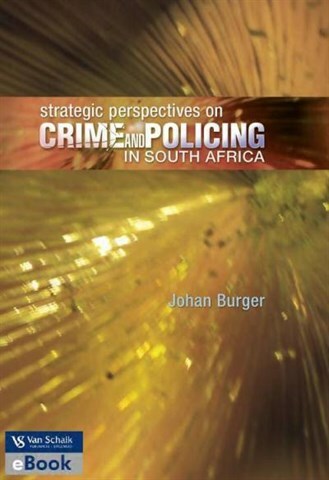 As the agency responsible for the maintenance of Law and Order, it is, however, the duty of the South African Police to constantly develop methods and techniques by which crime can be combated effectively. The results which have been obtained by using the natural sciences in the field of crime investigation, show the degree of success obtained. 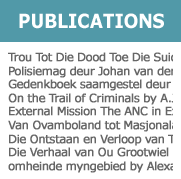 In this field Lieutenant-General Lothar Paul Neethling, the Commanding Officer of the Criminalistics Branch of the South African Police and his team at the Forensic Science Laboratory, have gained world-wide respect and acknowledgement for their achievements. The Branch does not serve only the RSA. 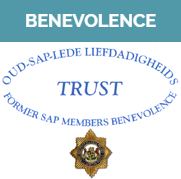 Support and help is also given to South-West Africa, the TBVC countries and other neighbouring States, and thereby contributing to the combating of crime throughout Southern Africa. The enthusiasm and the professional manner in which the branch performs its task does honour to the whole of the Force. It meets a need in the Force, rendering a service without which it could not function effectively. 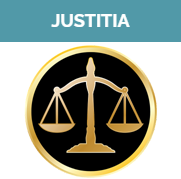 I offer my best wishes to the men and the women of the Criminalistics Branch and I believe that they will in future play an increasingly important role in the successful combating of crime in South Africa. 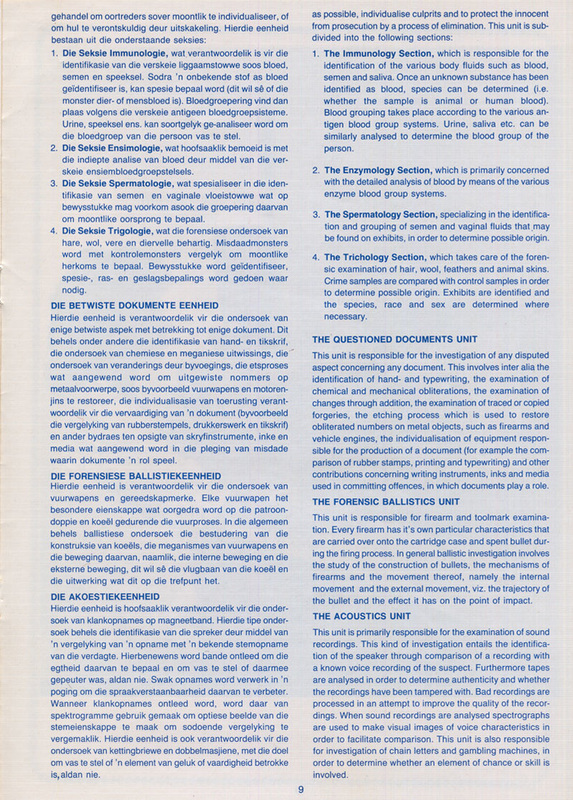 Since the establishment of The South African Criminal Bureau in 1925, it grew from a modest beginning in the application of scientific methods and techniques in the investigation of crime to the fully fledged Criminalistics Branch in the Force. When Lieutenant-General L P Neethling assumed duty in the South African Police on 15 January 1971, the application of forensic and scientific knowledge in the fight against crime, received momentum. The South African Police now has its own Forensic Science Laboratory which has gained recognition far beyond the borders of the RSA. In fact this Branch is considered to be an authority in many fields. The Force is naturally proud of this reputation. 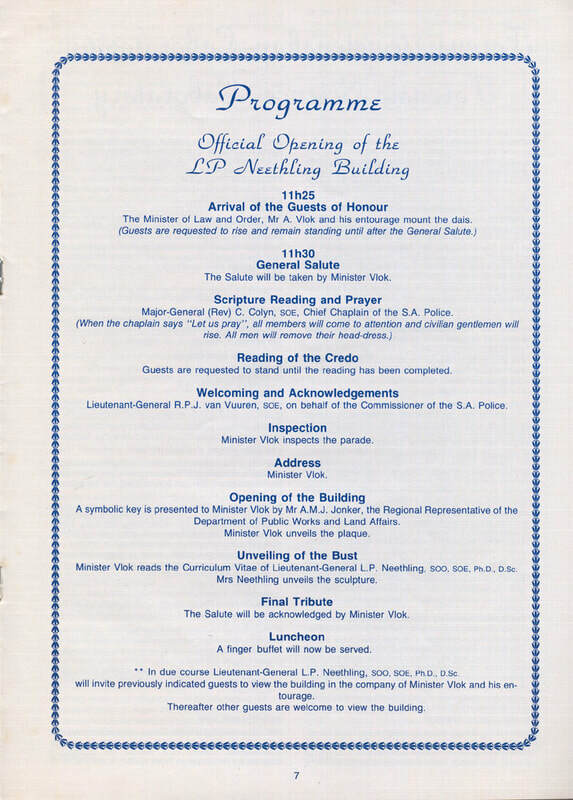 I consider it most fitting that the building should be known as the L.P. Neethling Building because it is this person, in particular, who brought the necessary expertise to the Force. May the work done with such enthusiasm and dedication by this Branch meet with even greater success. May the results obtained continue to add to the service being rendered to the people of South Africa by protecting them against criminals. 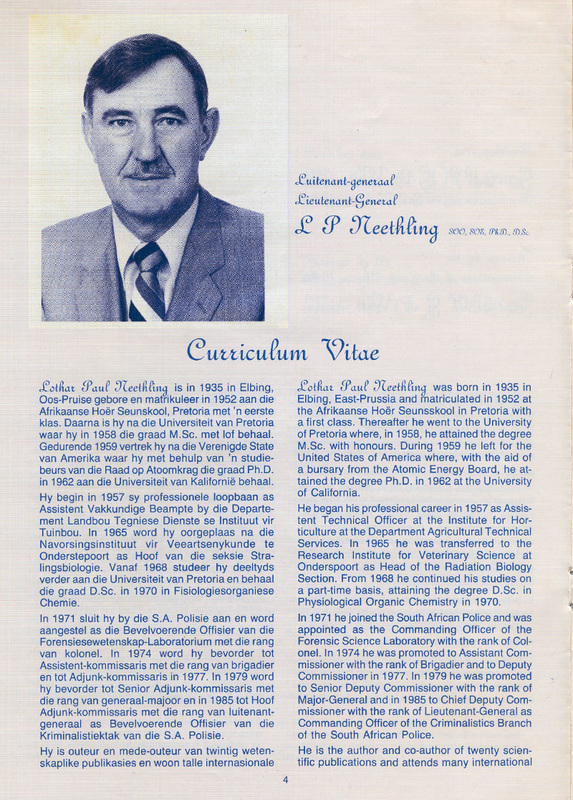 Lothar Paul Neethling was born in 1935 in Elbing, East-Prussia and matriculated in 1952 at the Afrikaans Hoër Seunskool in Pretoria with a first class. 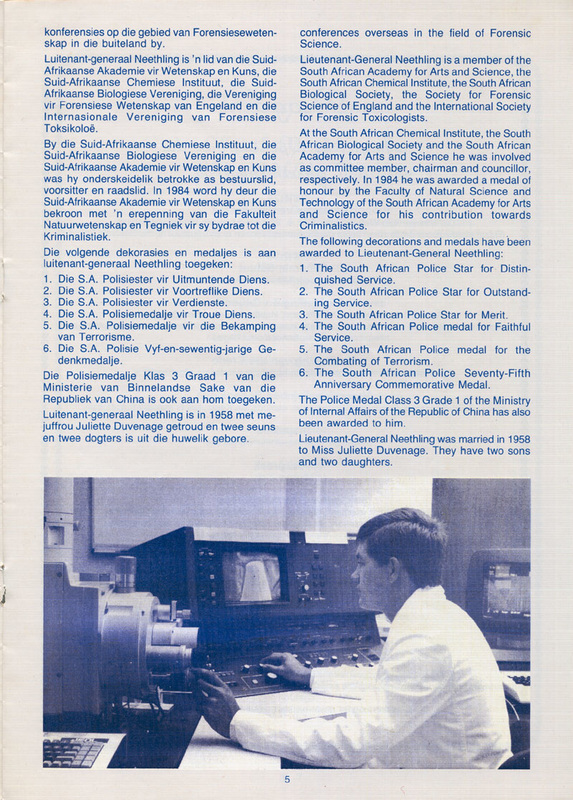 Thereafter he went to the University of Pretoria where, in 1958, he attained the degree M.Sc. with honours. During 1959 he left for the United States of America where, with the aid of a bursary from the Atomic Energy Board, he attained the degree Ph.D. in 1962 at the University of California. 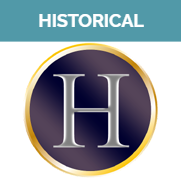 He began his professional career in 1957 as Assistant Technical Officer at the Institute for Horticulture at the department Agricultural Technical Services. 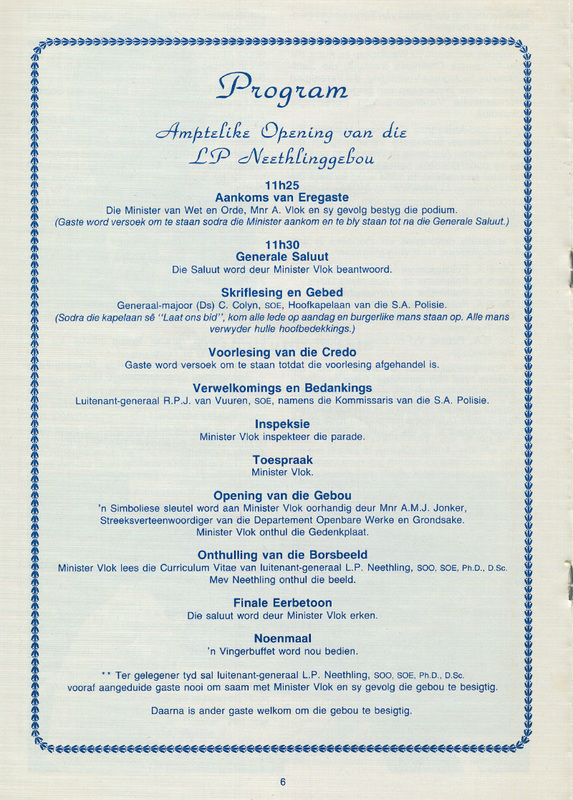 In 1965 he was transferred to the Research Institute for Veterinary Science at Onderstepoort as Head of the Radiation Biology Section. From 1968 he continued his studies on a part-time basis, attaining the degree D.Sc. 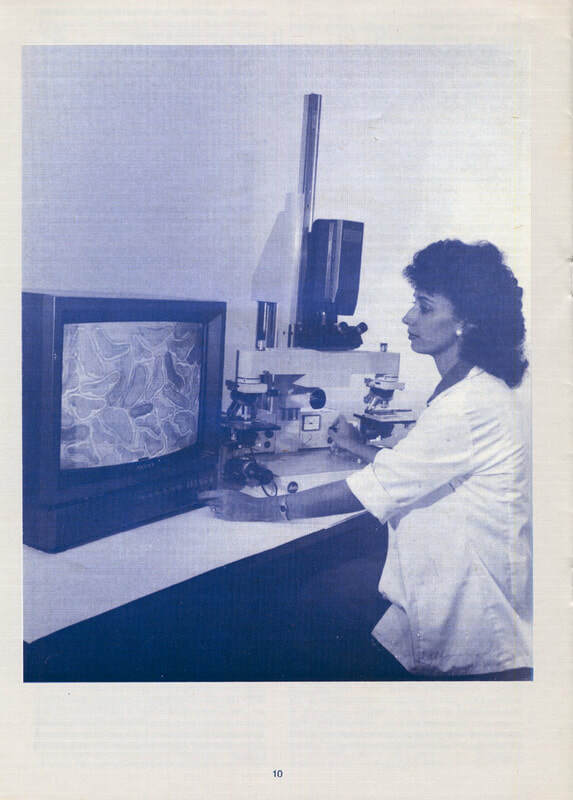 in Physiological Organic Chemistry in 1970. 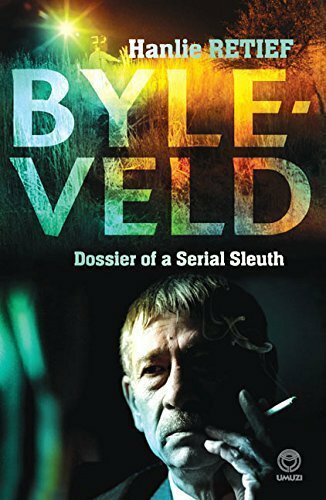 In 1971 he joined the South African Police and was appointed as the Commanding Officer of the Forensic Science Laboratory with the rank of Colonel. In 1974 he was promoted to Assistant Commissioner with the rank of Brigadier and to Deputy Commissioner in 1977. 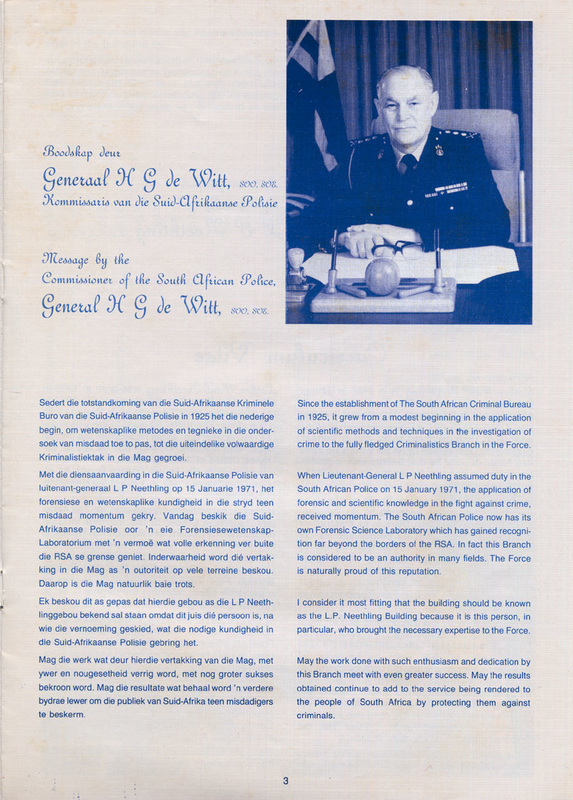 In 1979 he was promoted to Senior Deputy Commissioner with the rank of Major-General and in 1985 to Chief Deputy Commissioner with the rank of Lieutenant-General as Commanding Officer of the Criminalistics Branch of the South African Police. 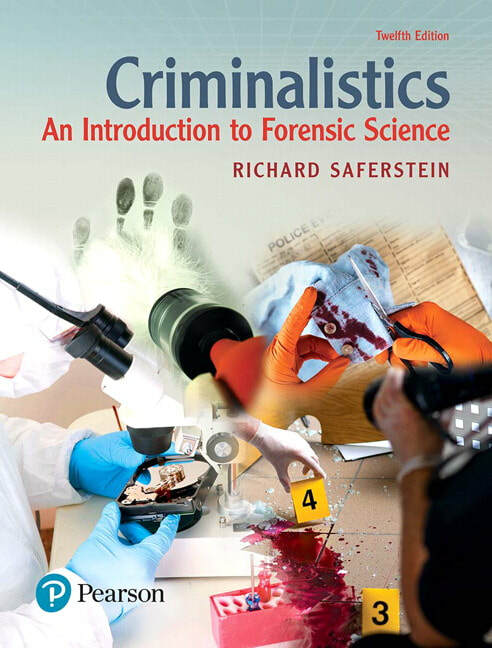 He is the author and co-author of twenty scientific publications and attends many international conferences overseas in the field of Forensic Science. 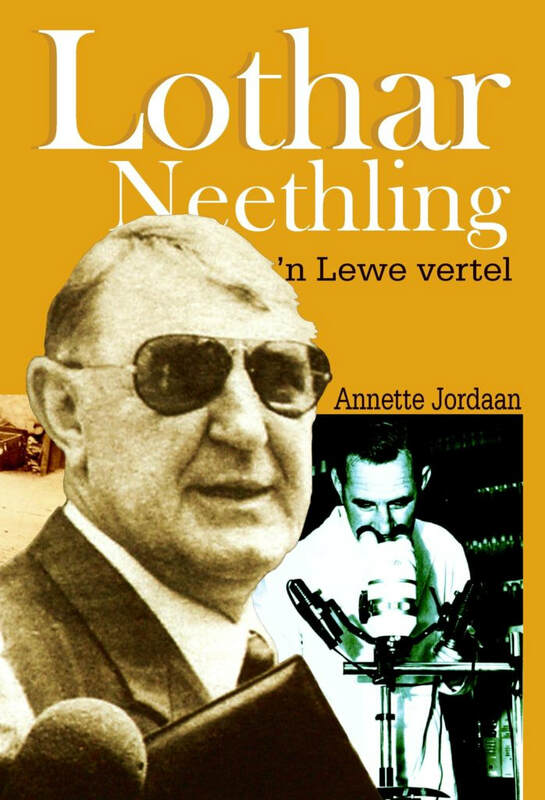 Lieutenant-General Neethling is a member of the South African Academy for Arts and Science, the South African Chemical Institute, the South African Biological Society, the Society for Forensic Science of England and the International Society for Forensic Toxicologists. 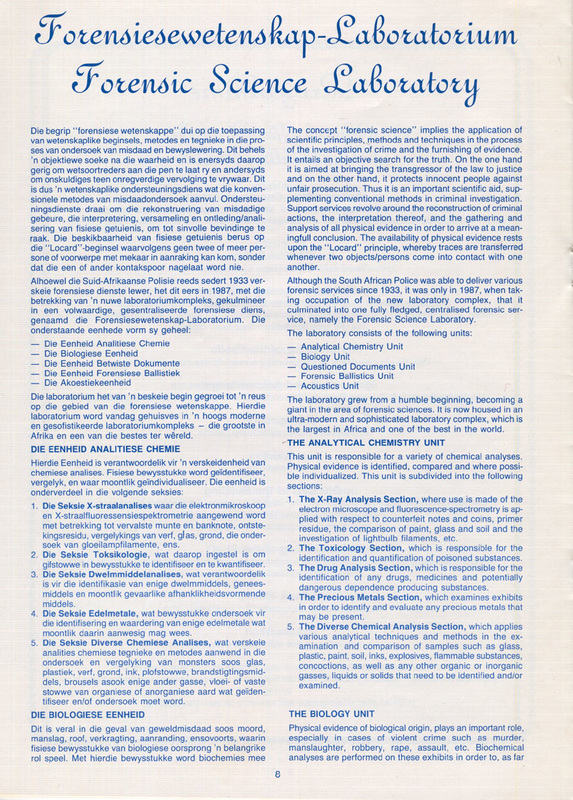 At the South African Chemical Institute, the South African Biological Society and the South African Academy for Arts and Science he was involved as committee member, chairman and councillor, respectively. 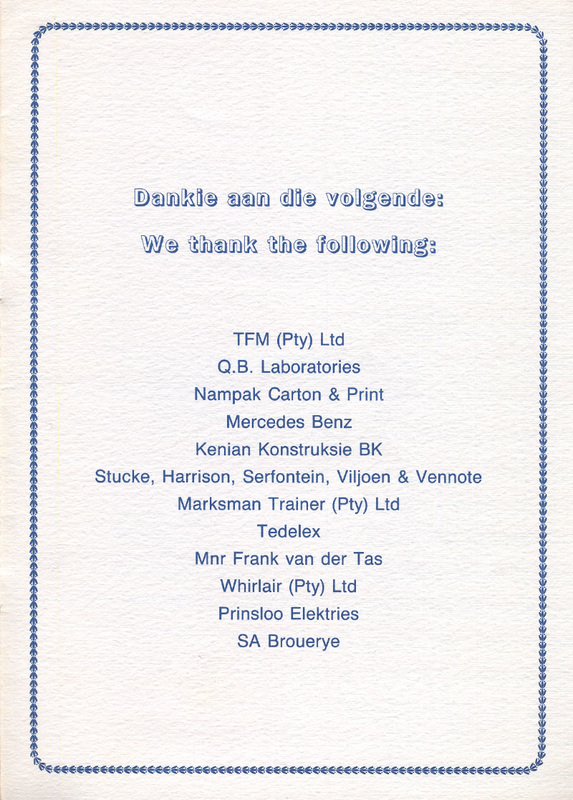 In 1984 he was awarded a medal of honour by the Faculty of Natural Science and Technology of the South African Academy for Arts and Science for his contribution towards Criminalistics. The South African Police Star for Distinguished Service. 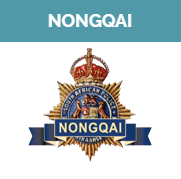 The South African Police Star for Outstanding Service. The South African Police Star for Merit. The South African Police medal for Faithful Service. 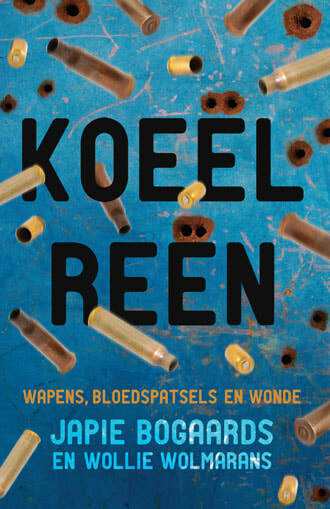 The South African Police medal for the Combating of Terrorism. 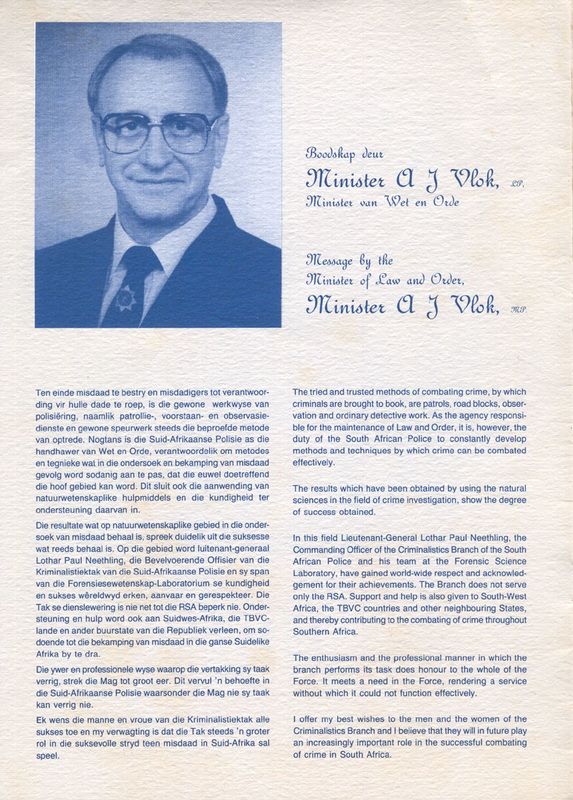 The South African Police Seventy-Fifth Anniversary Commemorative Medal. The Police Medal Class 3 Grade 1 of the Ministry of Internal Affairs of the Republic of China has also been awarded to him. Lieutenant-General Neethling was married in 1958 to Miss Juliette Duvenage. They have two sons and two daughters. 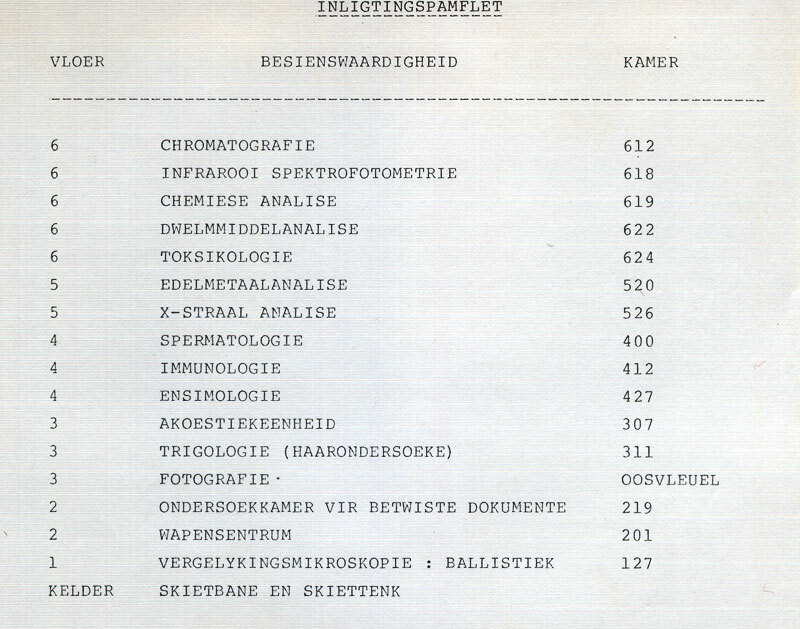 ‘n Sober biografie oor die lewe van Lothar Neethling, voormalige hoof van die Suid-Afrikaanse Polisie Forensiesewetenskap-Laboratorium.